My previous post for MouseDesk 2 dealt with the IIe and Laser. This post has some pictures and details on my experience on the Apple IIGS. The previous post was on April 1, 2018. The IIGS is a Rom01 with a TransWarpGS, and for this experience a 3.5 with a FloppyEmu attached. In the final couple pictures I boot GSOS from the SCSI Drive and then invoke MouseDesk 2. [ It’s really rather redundant, but fun to see ]. Above I tried to run AppleWorks with Pinpoint Accessories but pathname was too long for AppleWorks / Pinpoint to deal with. Here I started PublishIT4 and ran with no issues. 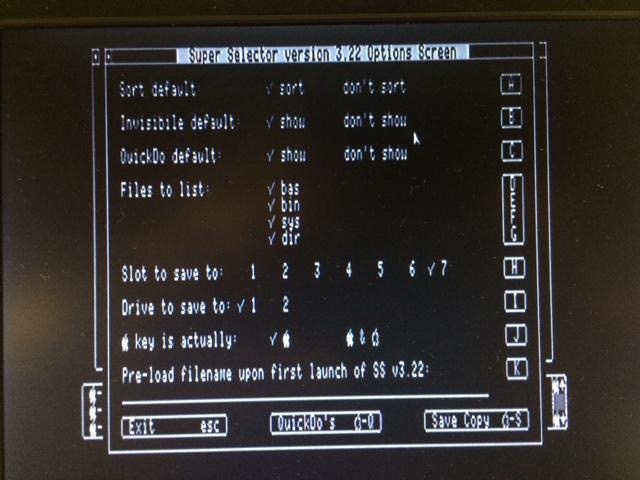 Below, I booted from the SCSI Drive. It’s partitions are Geek1 and Geek2. The FloppyEmu partitions are all the other disk icons. Note, they are represented by 3.5″ floppy images. I suppose since the FloppyEmu boots off the SmartPort. From the desktop I drilled down in GSharddrive and started up the GSOS App called Write Away. When I exited Write Away back to the GSOS Desktop. I was able to SAVE the document I created in Write Away. You are currently browsing the archives for the launcher category.